A good bed provides a consistently high level of comfort, irrespective of sleeping position or body type. This is the summarised result of Testfakta Research’s tests of continental beds, which were commissioned by retailer Sova. We are usually said to spend around one-third of our lives in bed. And most of us know what a difference a good or bad night’s sleep makes to our wellbeing. So it comes as no surprise that we are prepared to invest money and effort in finding a bed that offers comfort that meets our bodies’ individual physical demands regarding ergonomics. 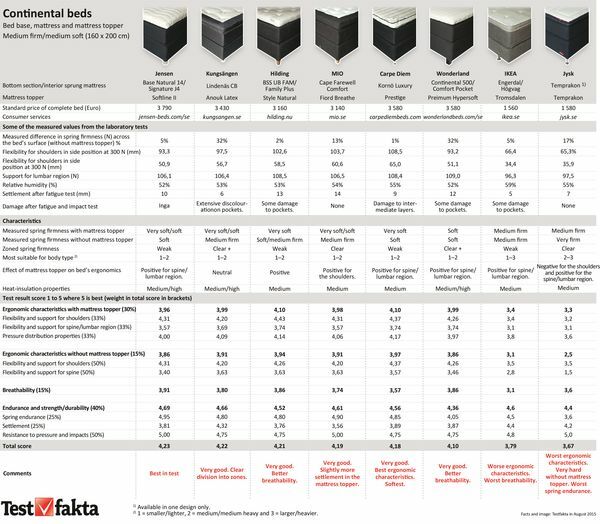 On behalf of the retailer Sova, Testfakta Research has had eight so-called continental beds tested along with the bed base, mattress and mattress topper. Latex is used in five of the mattress toppers and three have a foam material. 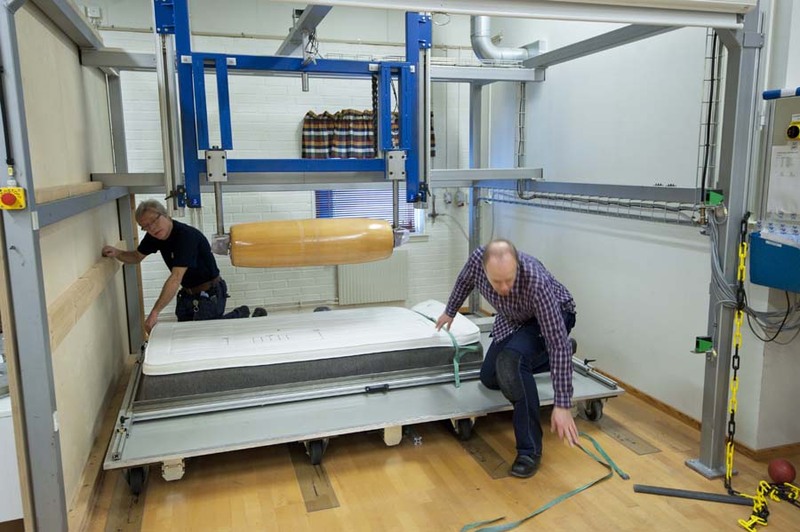 The tests and technical measurements were performed by independent laboratories in Sweden and Germany which specialise in testing beds and furniture. The main aspects of the test are comfort and construction quality. The focus is on four parameters: distribution of body weight pressure on the mattress, adaptation to sleeping position (elasticity), breathability and the endurance of the springs. There is no doubt that a continental bed is a significant investment. Six of the beds are in the SEK 30,000 to SEK 36,000 price range and the two cheaper versions from Ikea and Jysk cost around SEK 15,000. “Sova sells several well-known brands and four of the more expensive models are from Sova’s own range. The selection was then supplemented with models from major manufacturers such as Ikea, Jysk and Kungsängen,” says Carl-Magnus Brandberg, CEO of Testfakta Research. In most test stages, the more expensive models have scored more highly than the cheaper versions. And, particularly when you measure flexibility and support for the spine, for example, there are major differences. “The ergonomic characteristics and endurance have had the biggest significance for the total weighted score in the assessment. Breathability has been given slightly less significance in the weighting of the score,” explains Brandberg. Different body types place different demands on distribution of pressure, support and elasticity. Three body types have been simulated in the tests: 155 cm/55 kg, 175 cm/75 kg and 185 cm/90kg. “The general advice is usually to increase the firmness of the springs with body weight, but suitability is determined by a combination of several characteristics. For example, beds are often divided into zones with different spring firmness for better ergonomics,” says Brandberg. The ergonomics part of the tests is based on distribution of pressure and on elasticity. 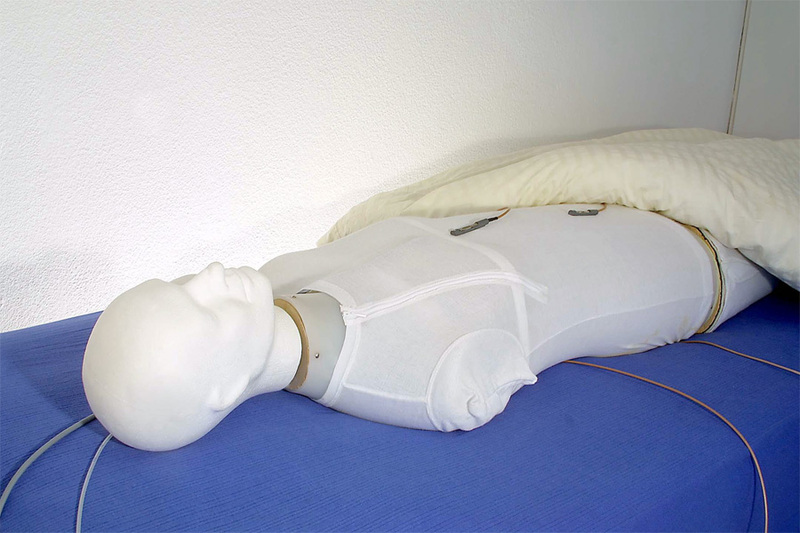 For example, the laboratory measured how the mattress distributes and reduces pressure from different body parts, such as the heels and shoulders. Elasticity is a measure of the mattress’s ability to provide support under pressure which, for example, maintains the natural structure of the spine to avoid back pains. Breathability is measured partly using a dummy that releases moisture in the same way a human body does. The ability to wick away moisture is the measure used in the test. “Overall the six more expensive models stand out with relatively high scores. Hilding and Carpe Diem have the best ergonomic characteristics, while Jensen has the best breathability,” says Brandberg. Obviously the endurance and durability tests are very important to the overall score. The beds were subject to various fatigue tests of the springs and frame, for example. The springs, for example, were tested by rolling a 140 kg cylinder over the beds 45,000 times, which equates to just over 10 years’ use. “In brief, we can conclude that all of the beds met the endurance and durability tests without being affected to any major extent. So all of the brands are high quality in this respect,” says Brandberg. Emma Bergkvist is head of public relations at SOVA. She explains why the company commissioned the tests. Testfakta Research has carried out comparative laboratory tests of continental beds on behalf of the retailer Sova. 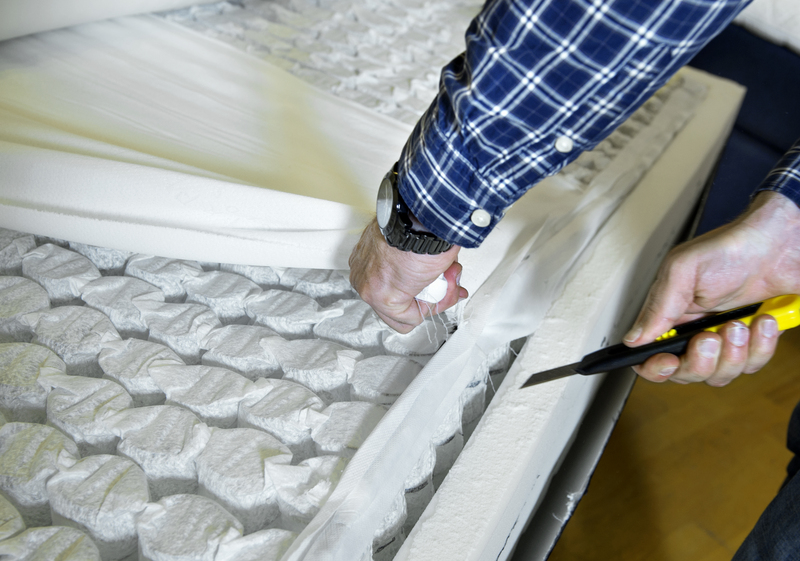 The aim of the tests was to compare the quality and ergonomic characteristics of a selection of beds from the major manufacturers on the Swedish market. The selection criteria have been medium-firm beds with a recommended retail price of up to SEK 35,000. 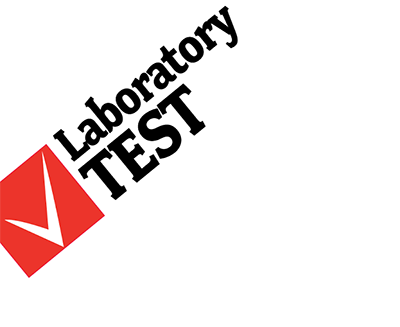 The laboratory tests include the main elements of ergonomics/comfort and endurance/strength. 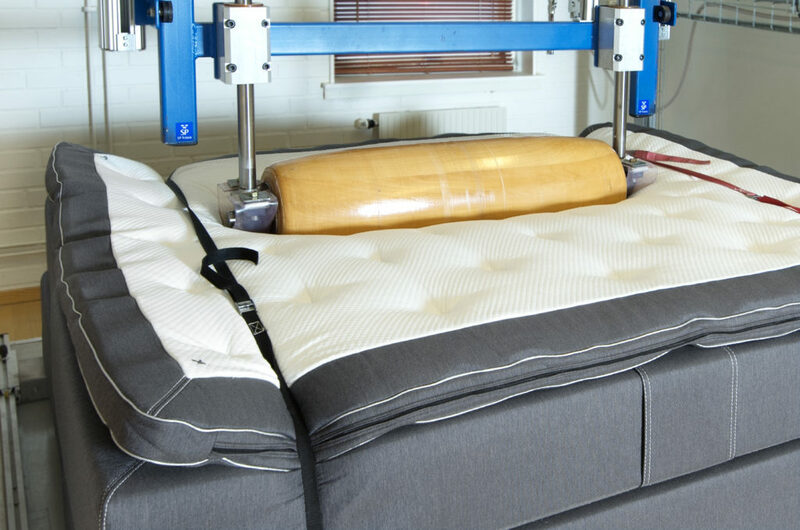 Ergonomic and comfort characteristics were tested by the Ergonomie Institut München (EIM) in Munich, Germany, and the beds’ endurance and strength were tested by SP Technical Research Institute of Sweden (SP) in Borås. For more information about the testing methods and weighting of the test results, please click here.